This is just a quick post to let you in on a GREAT deal that you definitely need to know about! The VIP Club from Mel at From the Pond! Seriously, teacher friends.. this is a monthly subscription club that has great resources for an unbelievable price! Right now it is on sale for $5 a month (Until September 1st) then it goes up to $7.50 a month (in October) then to it’s normal price of $10 a month starting in November. I am locked in at $5 a month for as long as I want BUT, after being a member I am being honest and telling you that $10 a month is even a great deal! 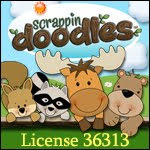 Mel has stocked it with all her new resources that are super fun and sooo cute! This place value house activity was a perfect fit for our math lessons this week. My little first grade friends were engaged and they really needed this review of tens and ones! I seriously prepped this activity (four a small group of five) in less than 10 minutes. Printed and cut while my kiddos were finishing up their morning routine. How easy could it be! Here is a link to see more and sign up if you are interested! Trust me, it is worth checking out!